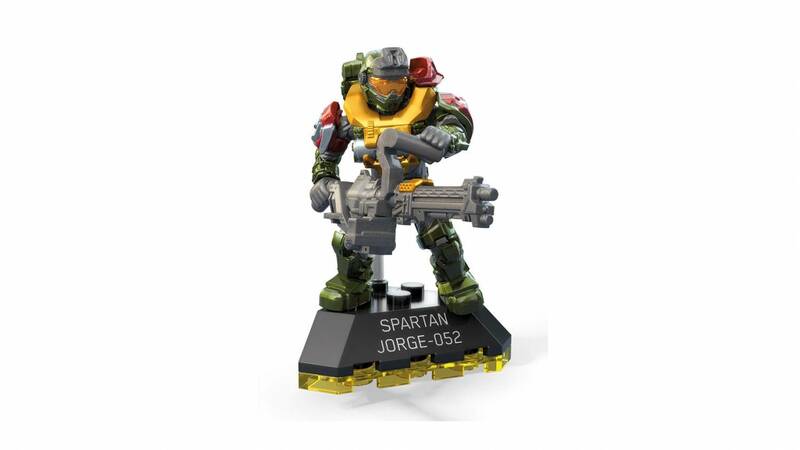 Whip out the big guns with a collectible Spartan Jorge-052 figure! 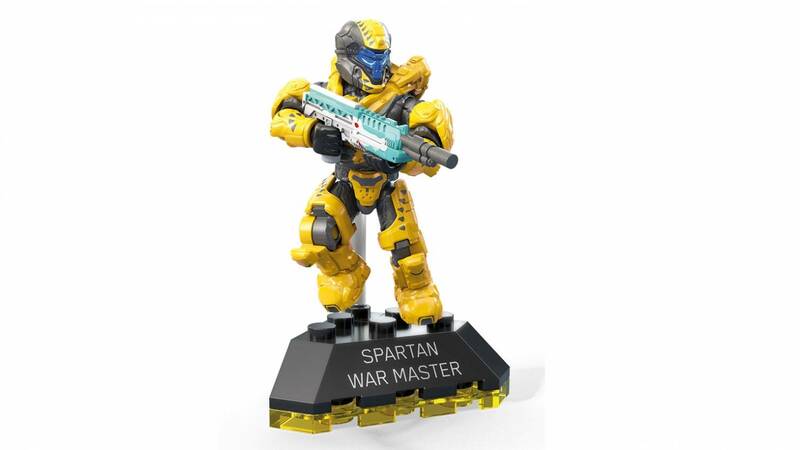 Noble Five’s most deadly Spartan is locked and loaded! 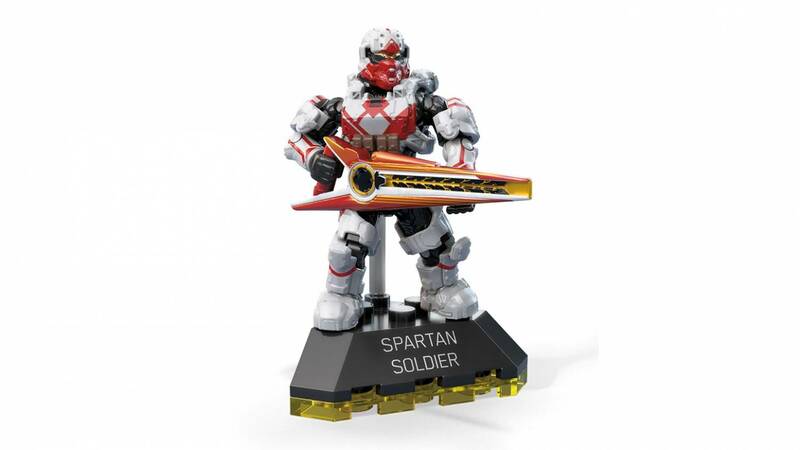 Armed with his iconic M247H Heavy Machine Gun, this highly collectible, deluxe Spartan Jorge-052 micro action figure comes outfitted in detachable Spartan III MJOLNIR armor and can be posed by a clear rod on a buildable nameplate display stand and name base. 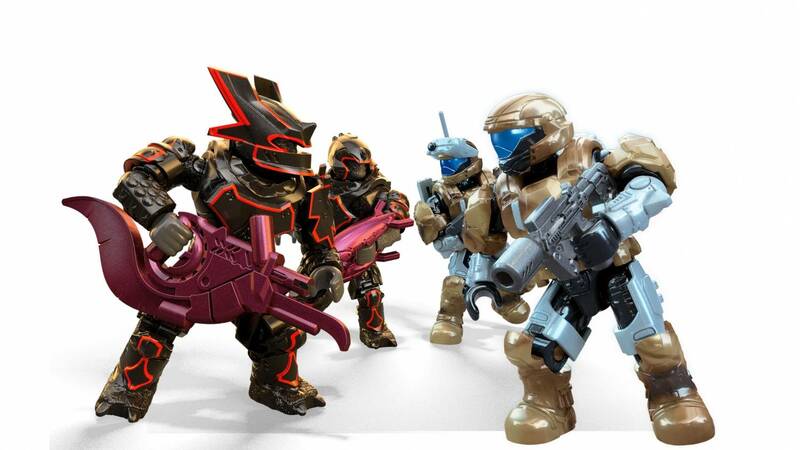 Select your favorite hero or collect all 6 figures to lead your Fireteams to victory! 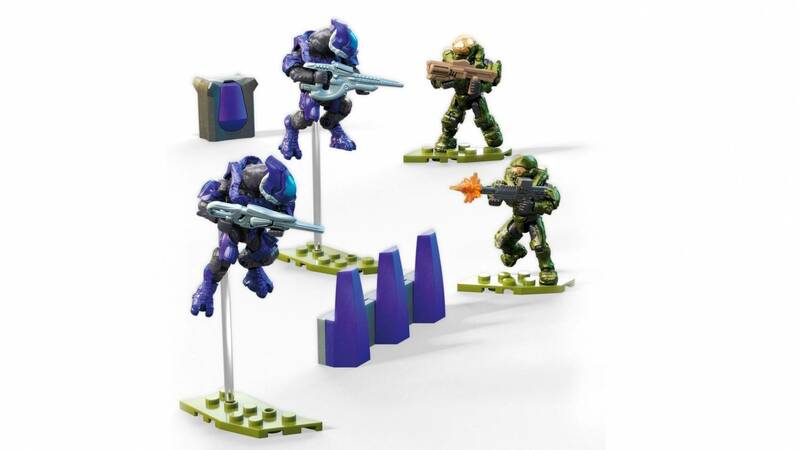 Spartan Jorge was my first Halo Heroes figure. He's a great figure and a pretty good representation of the character. The paintwork is mostly really good, with a few exceptions. Mine had some paint too thinly applied on the edge of the big shoulder armor, on the sides of the silver tank attached to the chestplate and on the M247H Machine gun. The machine gun's handle is a little awkward and only really allows Jorge to hold it pointing to the right, but the molded detail is fantastic. The visor of Jorge's helmet could have used a tiny bit more paint on the edges and a black outline around the whole thing would have made it much more crisp. Poseability is slightly limited by the extra bulky armor and the fact that the shoulder armor tends to slide around a bit. Push them down and you can still get plenty of great poses. The joints were a tad stiff, especially on the knees, but that really isn't too much of an issue. It just takes a little more effort to get the full bend out of them. 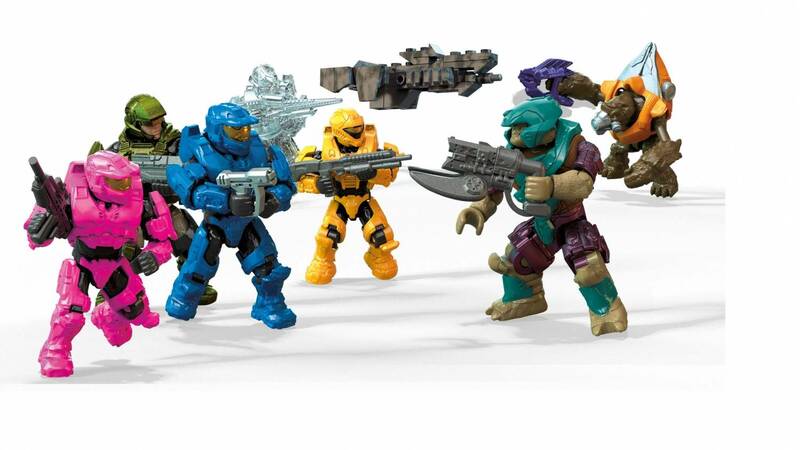 My biggest complaint though are about the renders on the box and the website. Jorge has so much extra detail in the renders and it is VERY misleading. I would very much prefer photos of the real figure. Overall though, this is well worth the money and an easy way to add to Noble Team. Highly recommended. Long live Jorge!!! Jorge be my hero yo!!! 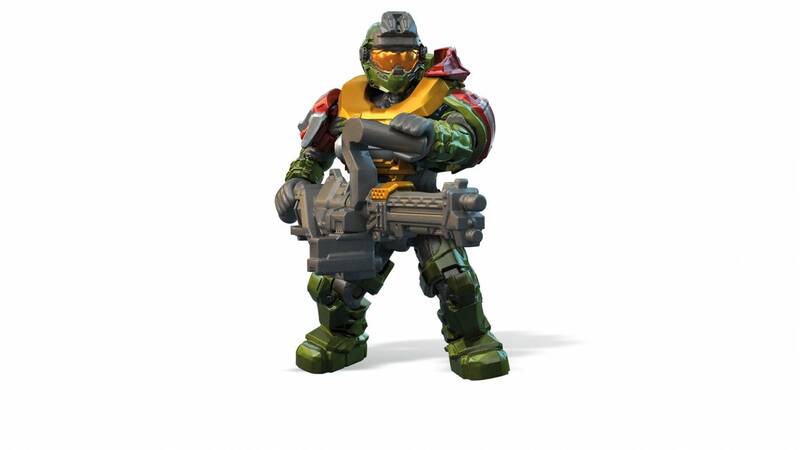 I do not have him but my friend at school dose and he let me borrow him and he is amazing.Gorge looks cool with the gold red and green but he is a little bulky but overall a great minifiguar. Awesome character, and an awesome micro action figure.